Enjoying some of the new units in Starcraft II? Well don’t get too attached, because according to Blizzard’s David Kim they could be cut at any moment, if balancing issues call for it. 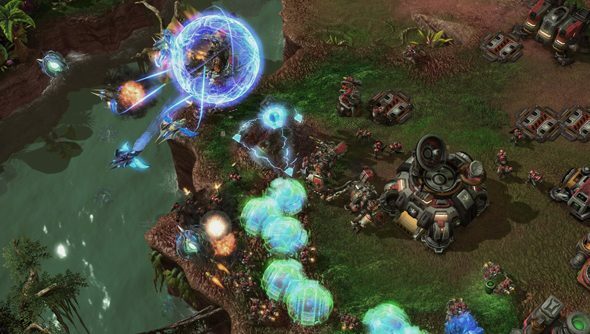 Speaking to PCGamesN at Gamescom, David Kim spokeof the challenges in keeping unit numbers slim to ward offover-complexity. “There’s a set number of units that should be in the game, but we just don’t know 100% what that is. Initially in Wings of Liberty we went with 13-14 units, which is similar to what Brood War had. When we started exploring a bit more we tried to stick to that rule, but when you’re taking units out and putting new stuff in, there are some problems. Wings of Liberty is pretty solid in terms of each unit being useful in a certain scenario -we tried saying, well what if 15 is the right number, or 16 is the right number? But would they ever take a knife to brand newunits? Apparently so.